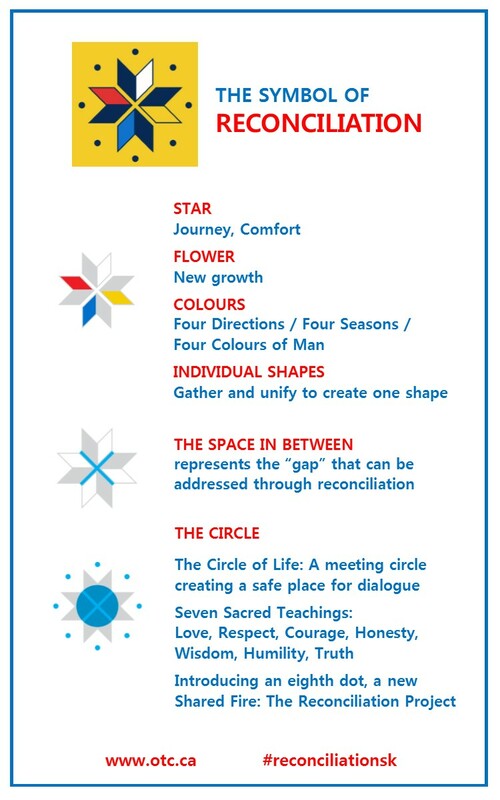 In the wake of the final report from the Truth and Reconciliation Commission of Canada (TRC), Saskatoon City Council on June 22, 2015 unanimously declared a “Year of Reconciliation” from July 1, 2015 to June 30, 2016. The declaration resolves that the City adopt and implement the relevant calls to action in the report as well as work with community groups to promote reconciliation in our province. The TRC Report issued 94 Calls to Action, nine of which apply directly and indirectly to municipal levels of government. The areas include language and culture, health, reconciliation, repudiation of European sovereignty, training for public servants, missing children and burial information, national Centre for Truth and Reconciliation, and sports reconciliation (Recommendations 17, 23, 43, 47, 57, 75, 77, 87, 88). On this page you will find more information about how the City of Saskatoon is responding to the Calls to Action and working to promote reconciliation in our community and our province. At its July 21, 2016 meeting, City Council committed to respond to the Truth and Reconciliation Commission of Canada’s (TRC) Calls to Action, specifically Call to Action #79: to participate in a strategy to commemorate Aboriginal peoples’ history and contributions to Canada. The Name the North Commuter Parkway Bridge (NCP) project provided the opportunity to do this by uniting the community and province in an act of reconciliation and engaging Saskatoon's citizens by asking them to share their ideas for bridge names. Under the City's Strategic Goal of Quality of Life, the naming process also supported the recognition of our built, natural, and cultural heritage. The naming process engaged First Nations and Métis Elders, Indian Residential School Survivors, Reconciliation Saskatoon as well as the naming process steering committee comprised of: City of Saskatoon, Office of the Treaty Commissioner, Federation of Sovereign Indigenous Nations, Saskatoon Tribal Council, and Central Urban Métis Federation Inc.
An online survey was open to the general public to provide feedback to the City from March 1 to March 30, 2018, as well as in-person engagement opportunities with a number of free public and community screenings held throughout March. All community feedback was considered before the final recommendation was made to City Council in August 2018. Anthony J. Arnold N. Ashu M. G. Solo. Barbara B. Bryan F. Chris S. Dan H. Della G. Derek T. Don N. Donella H. Dylan R. Garry F. Hali B. Helene H. Jim X. Jordan D. Joshua D. JP R. Kari T. Ken M. Lauralee S. Matthew B. Mona D. Myra O. Priscilla W. Randall E. Sharon C. Tammy D. Tony T. Veronica C.
On National Indigenous Peoples Day, June 21, 2018, the North Commuter Parkway Bridge Naming Steering Committee announced “Chief Mistawasis” (miss-tuh-WAH’-sis) as the recommended name of the North Commuter Parkway Bridge. What was the criteria for naming the NCP bridge? How was the name of the NCP bridge chosen? First Nation and Métis Elders guided the cultural protocol for the naming project, including the blessing of the land which took place in May 2017. Names were gathered from the community between September and October 2017. Elders and Survivors reflected and deliberated on the list of names in order to determine a shortlist of four names. The community was invited to watch a short educational vignette (video) on each of the four names and provide input online or in-person throughout March 2018. Community feedback was considered before the final recommendation was made to City Council by the NCP Naming Steering Committee in August 2018. Reconciliation Saskatoon is proud to support Orange Shirt Day on September 30 which aims to raise awareness of the devastating impact of the residential school system on aboriginal people and their descendants. Get involved by wearing an orange t-shirt or clothing item. As Orange Shirt Day falls on a non-school day this year, schools across Saskatoon will participate by running educational activities on Friday, September 28. Saskatchewan school boards officially recognized Orange Shirt Day in 2016. Remembering the history and legacy of residential schools is a vital component of the reconciliation process for our community and responds directly to the Truth and Reconciliation of Canada's (TRC) Call to Action. Wear orange on September 30 and join the Community Pancake Breakfast as we come together to remember the harm done to children in Indian residential schools, and to honour the survivors, their families, and those that were lost. Held at the Western Development Museum, we will be joining with Métis Cultural Days celebrating 25 years of community. Lots of fun, music and entertainment for the family including an interfaith service and a gospel jamboree featuring the multi-talented musician, singer and country music artist Donny Parenteau. For more information, visit cumfi.org. Prior to the breakfast, join the EY River Classic Run and wear orange to honour survivors – 10K, 5K or 2K Run. Orange shirts available to purchase online. Register at raceroster.com. For more information about this event, contact (306) 975 9999. The 4th Annual Wicihitowin Aboriginal Engagement Conference will focus on issues concerning Aboriginal engagement and human service delivery issues. Within the context of the Truth and Reconciliation Commission’s Calls to Action, if you’re working towards respectful Aboriginal engagement and inclusion in community settings, this conference is for you. In keeping with the City’s commitment to respond to the Truth and Reconciliation of Canada’s (TRC) Calls to Action #57, as well as the Strategic Plan (2013-2023) goal to enhance relations with Aboriginal organizations through the development of educational opportunities, the City has launched a new resource to enhance our understanding of Aboriginal culture and practices, called ayisīnowak [a/ee/see/ni/wak, Cree for 'the people']: A Communications Guide [kâ-isi-pîkiskwâtoyahk, Cree for ‘the people are communicating']. The Guide is intended to provide City employees with a basic outline of Aboriginal protocol and governance systems in order to facilitate improved relationship building either as co-workers, through business opportunities, or through inclusion in specific projects. The Guide was developed in partnership with the Saskatchewan Indigenous Cultural Centre and the Office of the Treaty Commissioner who provided valuable information on First Nation meeting etiquette, protocols and ceremonial traditions. The 88 member initiative, known as Reconciliation Saskatoon, joined together to further a citywide conversation about the process of Canadian reconciliation, provide opportunities for transformative experiences at events, and inspire citizens to engage in calls to action. 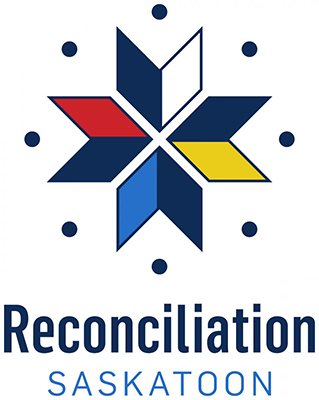 To have your Reconciliation event added to the calendar, please visit OTC.ca. Poster: "Understanding & Applying UNDRIP"
Provide non-Aboriginal organizations with resources to assist in engaging the Aboriginal community as employees and volunteers. Support organizations working to incorporate Aboriginal values within program and service delivery settings with the goal of creating culturally safe organizations. The Saskatchewan World Indigenous Festival for the Arts will bring together different Indigenous cultures to promote cultural exchange, unity and reconciliation through music and the arts within a 2-day festival forAugust 24th and 25th, 2016 at Delta Bessborough Gardens in Saskatoon, SK. The diverse Indigenous people of Saskatchewan will have the opportunity to work on the creation of joint performances, while inviting Indigenous artists and musicians from other provinces and countries to diversify the intercultural experience. SWIFFA will be taking place alongside the 2016 World Indigenous Business Forum (WIBF). Taking place in Saskatoon, the World Indigenous Business Forum is a platform that engages Indigenous people in global economic discussions. There are four main sectors that focus on Global Indigenous Economic issues; Community, Industry, Academic and Government. Leaders in these sectors are sought out to share their knowledge with delegates. For more information, including full agenda and to register, visit wibf.ca.